1,309 sq ft; lot: 3485 sq ft - MLS# 937885 Courtesy of Gilpin Realty, Inc. 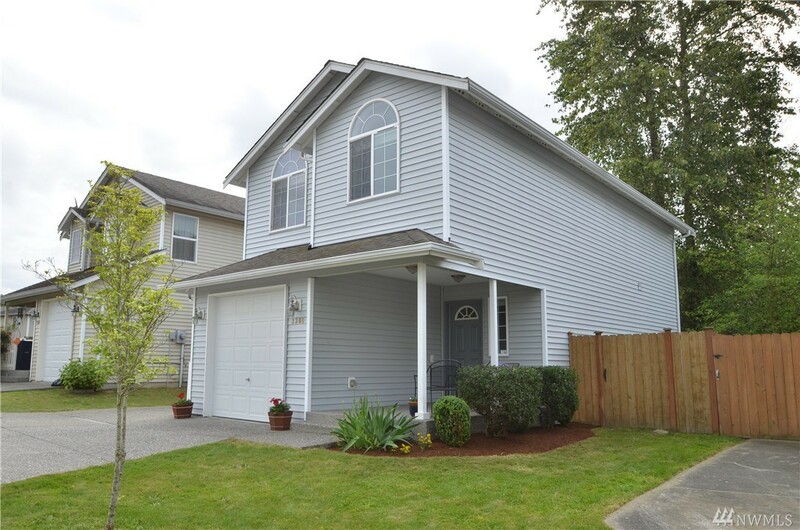 Spacious 3-bedroom, 2.5 bath Hansell Mitzel built home! This home features lots of little extras! Real bamboo hardwood floors throughout main level for beautiful look, easy clean & allergy reduction! Open floor plan kitchen w/ separate dining area. Back patio door to fully fenced back yard, aggregate patio. Backs up to green belt! Ample space in large master w/ walk-in closet, private master bath, nook for desk. Covered front porch, Cable & high speed Ethernet hookups in every room (networked)!